Whatever your role, mental health in the workplace is your responsibility. It doesn’t matter whether you are an HR leader concerned about your legal responsibilities for taking action on mental health issues, or whether you are a line manager or a leader thinking about creating psychologically safe teams, the issue is fast moving up the corporate agenda. 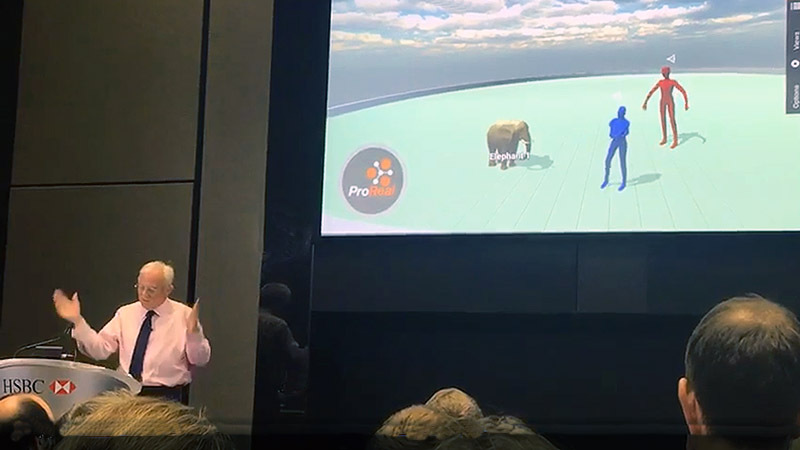 So ProReal was proud to be asked to present at a recent Minds@Work event, kindly hosted by HSBC at their Canary Wharf offices in Docklands, London. The attendees included corporate leaders, HR and Learning and Development managers who all came together to learn from others. Development Director, David Tinker, talked through the background research and science behind ProReal, and then provided a real life case study of how the technology helped one individual with stress. David also contributed to a panel discussion together with the other presenters. "David Tinker’s presentation at the Minds@Work event this week was my favourite of the lineup. Whether using tech suits your preferred style of communication/learning or not, the concept behind this tool highlights the meaningful impact of metacognition to better understand yourself in the context of the world around you. You can literally put yourself into different people’s shoes in this digital world and it harnesses the power of narrative and storytelling in an inventive way"
"The ProReal talk was fascinating." said another member of the audience. The notion of having a reflective conversation about your feelings and being able to see that in front of you is so powerful. I took a lot from this."